The cold doesn't stand a chance against your workout. Reebok's premium Thermowarm Deltapeak technology helps you to find the right balance to remain warm and dry in cold weather conditions. 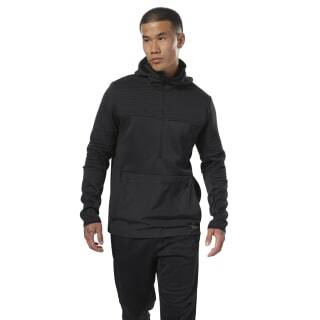 The super soft sweat wicking Thermowarm Deltapeak fabric is cosy, lightweight and warm so you don't have to layer up. Double layer construction in key areas helps make sure your core stays toasty even in frigid conditions. 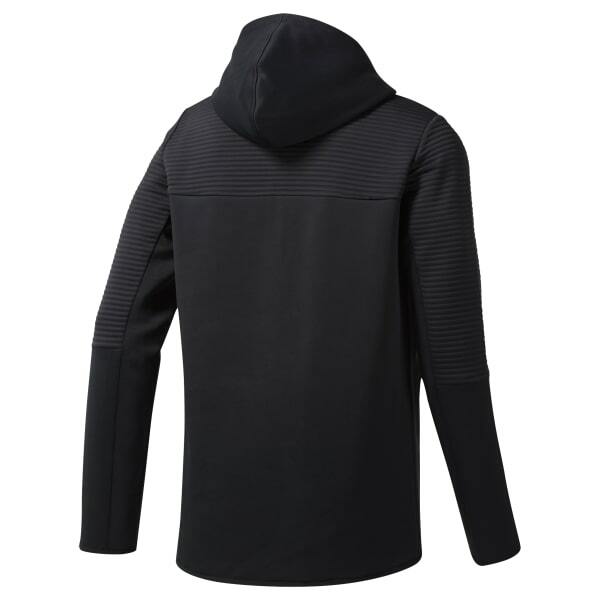 The double layer hood covers your neck even when its off, helping to keep that dreaded wind from getting in.